How do you do grocery lists? Do you keep a pad on the fridge at all times? Do you have a fancy one like this? Though that particular note pad is neat, I got so tired of forgetting to grab our shopping lists before going to the grocery store or leaving it in the car. On so many occasions, I would text Pat a picture of the list, which wouldn’t be so bad. But then I would also text him two (or ten) things I forgot to write down. And inevitably the list included things we needed from Home Depot and Trader Joe’s as well, but we weren’t going there that day. It was not a working situation! The other major thing that we have used it for has been meal planning. 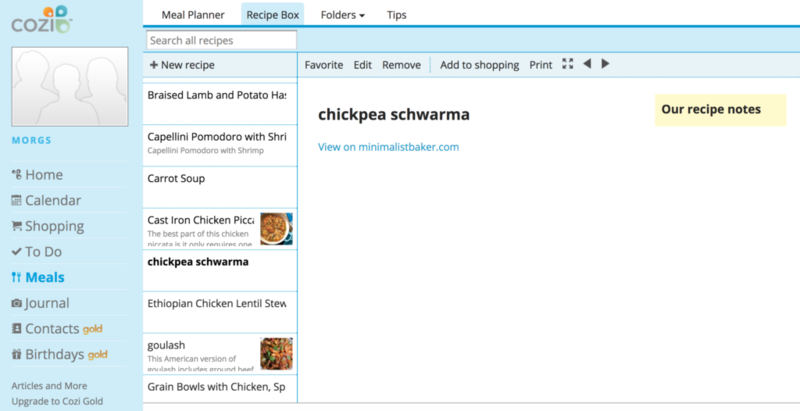 What I like about the app is that it is easy to upload recipes and keep in the “recipe box.” We have been using the app for about a year now, so it was nice to go through and cull the recipes we didn’t love (or that no longer sound appealing) and remember ones that were successful last summer. These days about 80% of our inspiration comes from online sources, but we still are fans of good cookbooks. 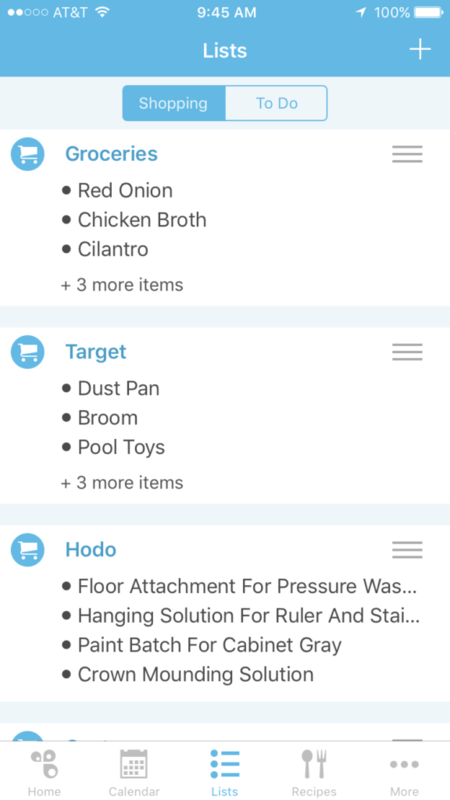 So, the app isn’t perfect for meal planning. I end up using a legal pad for some weeks and the app for others, depending on our moods. And some weeks, let’s be honest, we can’t think ahead more than a few hours, much less a few days. I’m so curious about what works for other families. My sister-in-law used to do a monthly plan in pencil, which was always neatly taped to her fridge. Anyone else out there (besides school lunch ladies) able to plan that far ahead? 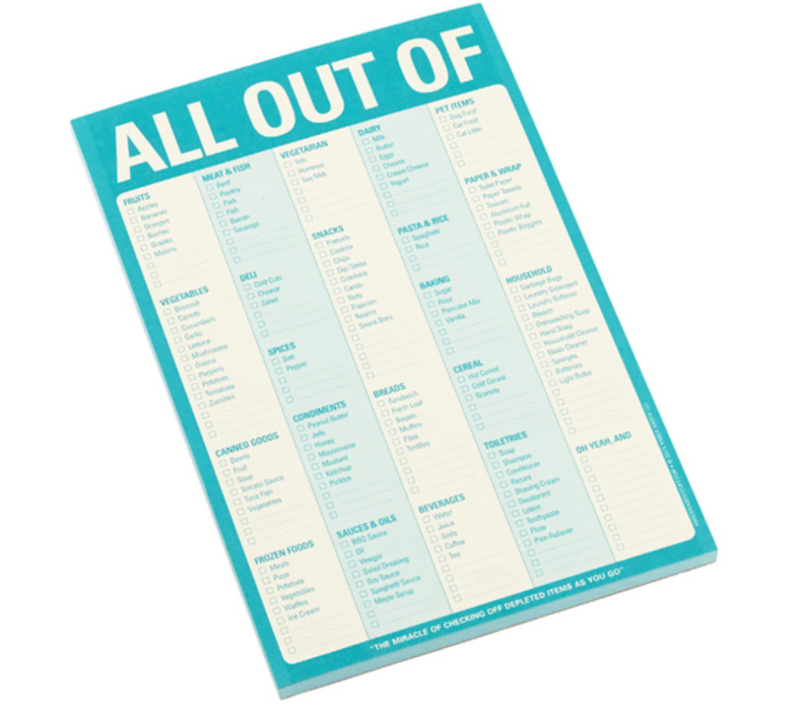 Who is still a big fan of the paper shopping list? Anybody make their own, tailor-made list like the one above? How about users of other good apps? Do share! There is certainly not one “right” answer here, and if your family is fed every day that sounds pretty successful to me!